Tour the streets of historic downtown Memphis with River City Pedalers. We have several bikes to accommodate groups of all sizes. Please see the Pricing page for up-to-date information on the bikes we have in service. Tours are two hours long. See the Pricing and FAQ page for more information, or Contact Us if you have any questions. The downtown route picks up at the corner of Rufus Thomas St. and Peabody Place St., across from the parking garage. 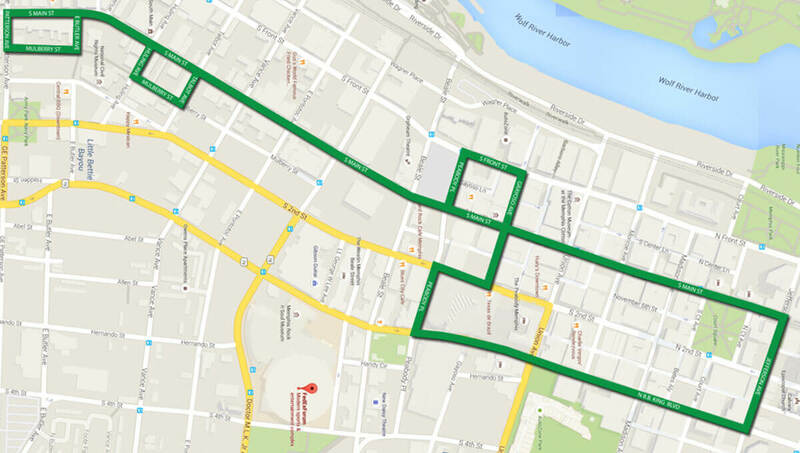 Here is our route for touring the Downtown Memphisarea with River City Pedalers.